Description: Lina is a unique preparation of standardized powder of Spirulina. Spirulina is blue green algae. It contains carbohydrate, proteins, vitamins (vitamin A, B-complex vitamins, and vitamin E), minerals (selenium, zinc, iron, copper, calcium manganese, potassium, and magnesium), gamma linolenic acid, and calcium spirulan. It is a worldwide popular nutritive food supplement. Dosage & Administration: 2 capsules 2-3 times daily or as prescribed by the physician. Side effect: Generally well tolerated. There are a few reports of allergic reactions to spirulina containing supplement and occasionally gastrointestinal symptoms such as nausea have been reported. 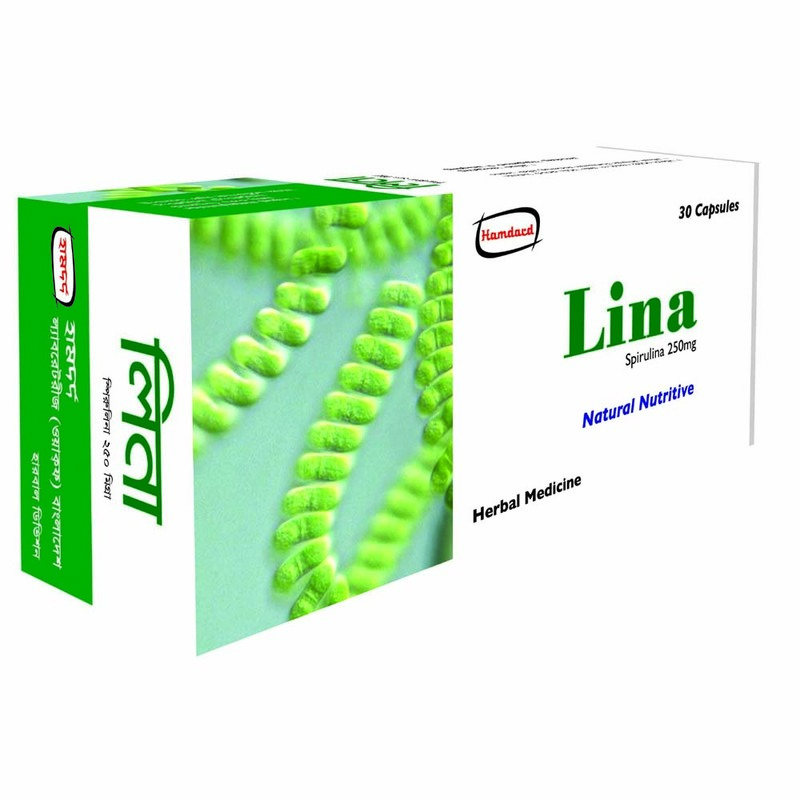 Contraindication: Lina is contraindicated in those who are hypersensitive to any component of spirulina. Precaution: use in pregnancy and lactation – There is no known restriction of the use of Lina in pregnancy and lactation. Pregnant mothers should consult with the physician before use of Lina. Storage: Store in a cool and dry place. Protect from sunlight. Keep out of reach of the children. Presentation: Box containing 30 capsules in alu-alu blister pack.